The following pixel artists produced Pixel Joint's top rated pixel art for November 2018. Many thanks go out to this month's top pixel artists and all the members who took time to rate. A mainly Russian collab project that involves mechs in garages ended with awesome results. You can see the final image here. The collab, managed by Veli; features Arne's palette. The website is made by Kartonnnyi with music by Blinch. Pirates of the ISObbean Ends! The latest official Pixel Joint isometric collab, featuring Dawnbringer's yet again another awesome award winning palette, Pirates of the ISObbean has just ended after 16 months! The final image can be seen here, featuring 98 tiles, 32 participants, assembled between April 14, 2017 and August 12, 2018. Thanks to everyone who participated in this collab and provided so much help to others in this 18 page thread. Special thanks to top contributors Irenaart & Reo for their amazing tiles that helped keeping the collab alive. Our next iso collab will be announced shortly after we have the results of our next palette competition! Pirates of the ISObbean Collab Begins! PJs next isometric collaboration has begun in the forum. This time, we are going to build a pirate island(s). First time this round, the borders must end with water. Anything related to the general pirate feel is cool. Several examples are: caves, buildings, forts, piers, ships (floating or not), pirates , palms, treasures, ghosts, skeletons, and any fantasy element as long as they are pirate-y. Welcome to the ISObbean. Yaaaarrrrrr! This project features Dawnbringer's's award winning palette. The OPP is once again back in action, now with a cool video! The following pixel artists produced Pixel Joint's top rated pixel art for February 2017. Many thanks go out to this month's top pixel artists and all the members who took time to rate. Congrats to the top three winners of our Owlboy competition, you guys all win a Steam copy of the game! Also, well done to our two runners up. Thanks to all who participated. The Owlboy poster competition will be closed app. 15 hours from now. Don't miss the chance to win unique tropies for your PJ profiles and a copy of the game! Edit: Competition is over. Winners will be announced soon(ish). The following pixel artists produced Pixel Joint's top rated pixel art for June 2016. Many thanks go out to this month's top pixel artists and all the members who took time to rate. The following pixel artists produced Pixel Joint's top rated pixel art for May 2016. Many thanks go out to this month's top pixel artists and all the members who took time to rate. Featuring mordfikosz's award winning 11 color palette. It seems we skipped to post Pixel Joint's top rated pixel art for March 2016. Many thanks go out to this month's top pixel artists and all the members who took time to rate. The following pixel artists produced Pixel Joint's top rated pixel art for April 2016. Many thanks go out to this month's top pixel artists and all the members who took time to rate. The following pixel artists produced Pixel Joint's top rated pixel art for January 2016. Many thanks go out to this month's top pixel artists and all the members who took time to rate. The following pixel artists produced Pixel Joint's top rated pixel art for December 2015. Many thanks go out to this month's top pixel artists and all the members who took time to rate. The following pixel artists produced Pixel Joint's top rated pixel art for November 2015. Many thanks go out to this month's top pixel artists and all the members who took time to rate. 1st December makes 10 years since one of PJ's oldest bugs, jalonso, joined Pixel Joint. To celebrate his anniversary, we wish to surprise him with a flood of jal themed avatars this week! 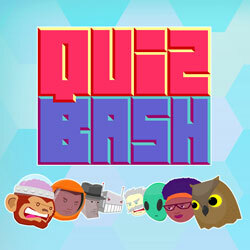 Create an avatar (max 64x64), in the theme of a birthday party. Cakes, the number 10, your character dancing, scarabs and other bugs, anything goes! And don't forget to use it as your avatar for the jal-atars week! If you feel creative and can improve your work by bending the guidelines, feel free to do so! The collage will be posted via another news post and not be uploaded on a PJ user account. A big thank you from us to you jalonso, for your great work as moderator and as community member! The following pixel artists produced Pixel Joint's top rated pixel art for October 2015. Many thanks go out to this month's top pixel artists and all the members who took time to rate. Registrations are open until November 25 for Pixelation's annual Secret Santa. Make sure to read all the rules et cetera! The following pixel artists produced Pixel Joint's top rated pixel art for August 2015. Many thanks go out to this month's top pixel artists and all the members who took time to rate. The following pixel artists produced Pixel Joint's top rated pixel art for July 2015. Many thanks go out to this month's top pixel artists and all the members who took time to rate. The following pixel artists produced Pixel Joint's top rated pixel art for May 2015. Many thanks go out to this month's top pixel artists and all the members who took time to rate. The following pixel artists produced Pixel Joint's top rated pixel art for April 2015. Many thanks go out to this month's top pixel artists and all the members who took time to rate. Time for another Pixeljoint palette comp which is open to everyone and is quite simple. Submit your 16 color unique + original palette. Hex values must be included. The winning palette will be used in PJs next forum collab and a spiffy trophy added to your profile. * Honorable mentions may be given for this contest as needed. Comp closes, April 29, 2015. CLOSED! The following pixel artists produced Pixel Joint's top rated pixel art for March 2015. Many thanks go out to this month's top pixel artists and all the members who took time to rate. The following pixel artists produced Pixel Joint's top rated pixel art for February 2015. Many thanks go out to this month's top pixel artists and all the members who took time to rate. The following pixel artists produced Pixel Joint's top rated pixel art for January 2015. Many thanks go out to this month's top pixel artists and all the members who took time to rate. The following pixel artists produced Pixel Joint's top rated pixel art for December 2014. Many thanks go out to this month's top pixel artists and all the members who took time to rate. Hi guys, registrations are open until the 24th for Pixelation's annual Secret Santa. Have at it! The following pixel artists produced Pixel Joint's top rated pixel art for October 2014. Many thanks go out to this month's top pixel artists and all the members who took time to rate. The following pixel artists produced Pixel Joint's top rated pixel art for September 2014. Many thanks go out to this month's top pixel artists and all the members who took time to rate. The following pixel artists produced Pixel Joint's top rated pixel art for March 2014. Many thanks go out to this month's top pixel artists and all the members who took time to rate. The following pixel artists produced Pixel Joint's top rated pixel art for February 2014. Many thanks go out to this month's top pixel artists and all the members who took time to rate. The following pixel artists produced Pixel Joint's top rated pixel art for January 2014. Many thanks go out to this month's top pixel artists and all the members who took time to rate. The following pixel artists produced Pixel Joint's top rated pixel art for December 2013. Many thanks go out to this month's top pixel artists and all the members who took time to rate. The following pixel artists produced Pixel Joint's top rated pixel art for September 2013. Many thanks go out to this month's top pixel artists and all the members who took time to rate. The following pixel artists produced Pixel Joint's top rated pixel art for August 2013. Many thanks go out to this month's top pixel artists and all the members who took time to rate. The following pixel artists produced Pixel Joint's top rated pixel art for July 2013. Many thanks go out to this month's top pixel artists and all the members who took time to rate. Submit your 13 color unique & original palette. The winning palette will be used in PJs next collab and a spiffy trophy added to your profile. *honorable mentions may be given for this contest as needed. Contest closes on Thursday, September 5, 2013. OPEN! In case no one noticed, Pixelation has a twitter account which is used to post server status and things like that. In case of stuff not working and so on, go there to see what is up (if we know it will be posted there). The following pixel artists produced Pixel Joint's top rated pixel art for June 2013. Many thanks go out to this month's top pixel artists and all the members who took time to rate. Hang in there by The B.O.B. The following pixel artists produced Pixel Joint's top rated pixel art for May 2013. Many thanks go out to this month's top pixel artists and all the members who took time to rate. The following pixel artists produced Pixel Joint's top rated pixel art for March 2013. Many thanks go out to this month's top pixel artists and all the members who took time to rate. The following pixel artists produced Pixel Joint's top rated pixel art for February 2013. Many thanks go out to this month's top pixel artists and all the members who took time to rate. The following pixel artists produced Pixel Joint's top rated pixel art for January 2013. Many thanks go out to this month's top pixel artists and all the members who took time to rate. The following pixel artists produced Pixel Joint's top rated pixel art for November 2012. Many thanks go out to this month's top pixel artists and all the members who took time to rate. The following pixel artists produced Pixel Joint's top rated pixel art for October 2012. Many thanks go out to this month's top pixel artists and all the members who took time to rate. The following pixel artists produced Pixel Joint's top rated pixel art for August 2012. Many thanks go out to this month's top pixel artists and all the members who took time to rate. A rare Pixeljoint job posting on the front page! The following pixel artists produced Pixel Joint's top rated pixel art for July 2012. Many thanks go out to this month's top pixel artists and all the members who took time to rate. The following pixel artists produced Pixel Joint's top rated pixel art for June 2012. Many thanks go out to this month's top pixel artists and all the members who took time to rate. "Susan Kare, the artist who gave computing human face"
PJs latest isometric collaborative project is finally complete. The original theme was just 'underground' but developed a videogame sub-theme along the way...find them all! 98 tiles, 53 participants, assembled between Sept 11, 2010 and October 31, 2011. Thanks to everyone who participated in this collab and provided so much help to others in this 32 page thread. Especially Gecimen for his 'above and beyond' vigilance and DawnBringer for the super palette that inspired so many beyond this collab. If you've ever wanted to bring your pixel art masterpieces into the real world The Wooden Arcade might be the ticket. Still with fugly skin and no zoom stuff atm, but we will address that asap. Weekly Challenge entries had a strong presence in July's Monthly Top, alongside some old favourites, an enchanted mockup, something a little more demoscene and a piece with a great WIP thread. Many thanks go out to this month's top pixel artists and all the members who took time to rate. Even if you're not a fan of pixel art or "theme" weddings you have to hand it to these crazy kids. TUGS is a spriting/pixel art tournament originally run by Pixeltendo under the direction of BaB and Tyvon. TSR has revived TUGS, under the direction of Christoballs and invites all PJ members to join this year's tournament. May featured fantasy creatures, gorgeous environments, and even a piece or two with a story. Many thanks go out to this month's top pixel artists and all the members who took time to rate. In a new research paper, Microsoft’s Johannes Kopf and The Hebrew University’s Dani Lischinski describe a new algorithmic method for converting pixel art into sweet, smooth vectors. This pixel artist (Andy Helms) has life pegged... "silly artwork that is only serious about not being serious". March featured angels, demons and other critters, as well as fantastic landscapes. Many thanks go out to this month's top pixel artists and all the members who took time to rate. Make your own EightBit avatar. Lovely use of texture. This interesting animation by Lasse Gjertsen takes us through the life, death, and rebirth of a pixelated character. The video may seem a little long (about 12 minutes) but it is definitely worth viewing. January 2011 featured pieces long in the making, luscious environments and stylish sprites. Many thanks go out to this month's top pixel artists and all the members who took time to rate. For poor folk, cheapskates and anyone stuck with Paint. "mtPaint is a painting program which Mark Tyler developed from scratch so he could easily create pixel art and manipulate digital photos." It uses the GTK toolkit (version 1 or 2) and runs on PC's via the GNU/Linux or Windows OS. December ended the year with some great pixel art. It was a month characterised by great character designs; ranging from inn-keepers to doctors and from mushrooms to mechs. Well done to the top ten artists and thanks to all the members that rated. November was the home of Fantasy environments, Fantastic Creatures and Fabulous Caricatures. Many thanks go out to this month's top pixel artists and all the members who took time to rate. October was dominated by Animation, Mockups and Sea Creatures. Many thanks go out to this month's top pixel artists and all the members who took time to rate. The following pixel artists produced Pixel Joint's top rated pixel art for September 2010. Many thanks go out to this month's top pixel artists and all the members who took time to rate. TOOLS: Piq is a handy Flash pixel art drawing tool and BLOCKHEAD PIX is a pixel art tool for the iPhone. FLASH GAMES: Pixel Purge and Cat Fight (art by sssnole) are both worth checking out. iOS GAMES: Time Geeks is a beautiful new pixel art game with an eBoy-ish candy flavor for the iPhone/iPad. REAL WORLD PIXEL ART: 8 BIT WOOD and Steve Jobs bust and Real World Pac-Man (thanks greenraven). Apparently tinypic.com has been shut down for International users without any warning. Many here use tinypic on the forum and your gallery page descriptions. Be aware that you may see the image, depending on your location, but not everyone will. It is best not to use this popular service from now on. Beyond ImageShack and Photobucket if you know good and easy image upload hosts that you use and recommend (especially those with no membership required), please leave a link as a comment. The following pixel artists produced Pixel Joint's top rated pixel art for August 2010. Many thanks go out to this month's top pixel artists and all the members who took time to rate. Finally, after more than half a decade, this isometric collaborative piece has been completed. It consists of 192 50x50 tiles, all assembled between July 10 2005 and September 1 2010. Just some of the things you can expect to see are: an oil spill, two menacing tentacled creatures, a floating desert, an anthropomorphic lighthouse and 5 euros worth of rooftop golf. What else can you find...? Thanks to everyone who participated; the final image can be seen here.